So, candidates, practice the CCC Online Test 2018 and grab a seat in the course on Computer Concepts in National Institute of Electricity & Information Technology. After completing the course, you will be in a position to utilize the personal computer properly. 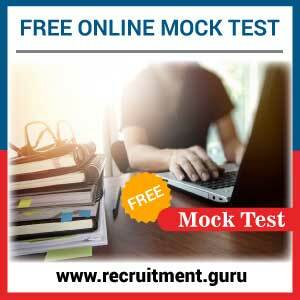 After practicing the online practice test, you will be in a position to crack the CCC Mock Test 2018 easily. NIELIT offers this course for the common man to enable them to meet the technological world today. Share this information on the social media so that it may be helpful for them to get awareness about this course on computer concepts. All the Best!!! Let me give you a brief description of the Course on Computer Concepts. The National Institute of Electronics & Information Technology (NIELIT) has designed this CCC Course to enable the common man to utilize the computers properly. The course is for 80 days. So, candidates, you can easily grab a seat in the NIELIT by practicing the CCC Online Test 2018 below. Our team prepares the mock test with the help of experts which enables you to crack the written exam and join in the course. Candidates, visit our portal and practice the NIELIT CCC free Mock Test Online 2018 and grab a seat in NIELIT to do a Course on Computer Concepts.